With nearing four decades of industry experience, Exquisite Art has helped many home-makers, entrepreneurs and retailers realize their visions of a dream space. As a licensed contractor, we take pride in understanding your lifestyle habits and are committed in designing spaces specially catered to your needs. We draw inspirations from all environments and our creativity is never restricted to a specific style. Taking on projects from a wide spectrum, be it modern, industrial or even vintage themes, we live it out and breathe uniqueness into your space. Our confidence and flexibility allows us to break boundaries in creating the ultimate habitable environment for you in your home and office. We, too, are strong believers that good design must be accompanied with perfectly fitted finishings. Together with the expertise of our in-house carpenters, we design and build each piece of furniture with excellent workmanship. Given the space constraint in our present day, we are big on efficient space planning. It is in our blood to optimize every ounce of space. For you, we will “turn nothing into something”. Tell us what you love and leave the rest to us. Being manufacturers ourselves, we know what it means to offer the best prices to our customers. We translate our savings into savings for you. Keeping your needs as a priority, we incorporate your ideas with our sound advices in a collaborative fashion. We know what makes you happy. Your satisfaction is of utmost importance and we confidently leave our work to your assessment. Quality is our business and we mean it. 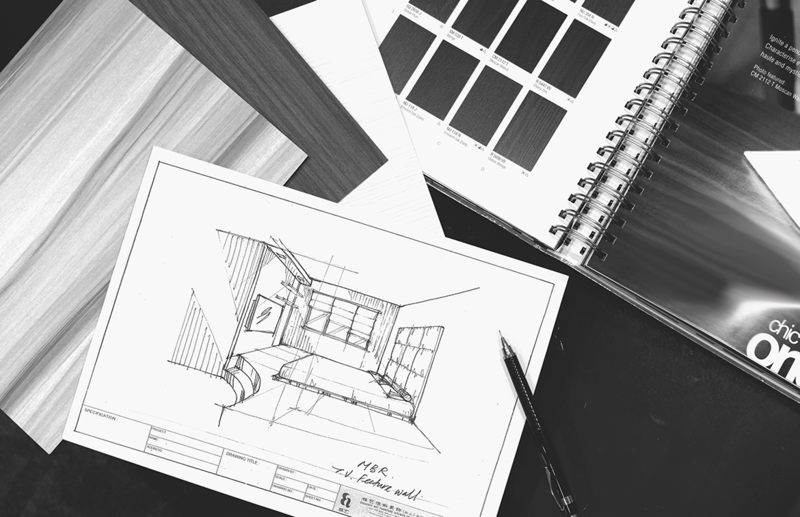 Design and furnishing has been our bread and butter since 1977. Our experience and reputation as a renovation company is well-earned. On top of our working experience with home & business owners since 1977, we are a licensed contractor too. Don’t settle for less. Our cross-disciplinaries allow us to conjure creative yet practical solutions in designing the ideal interior that you have for your space.